For the 5th year running, welcome the season with some hardened steel. Australia’s top rail riders compete under lights on Mt Buller’s famed Cattleman’s Rail. Crowd giveaways, music and entertainment.4 wildcard entries are available. Register at the Burton Demo tent on Sat 10th july at 9am in the Mt Buller Village square. 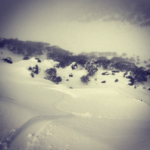 Transfer Snowboard Magazine presents the official after party at the Kooroora Hotel. Open to everyone.